The monuments and landmarks of the world like the Sydney Opera House and Brandenburg Gate have all been lit up in the colors or the French flag. 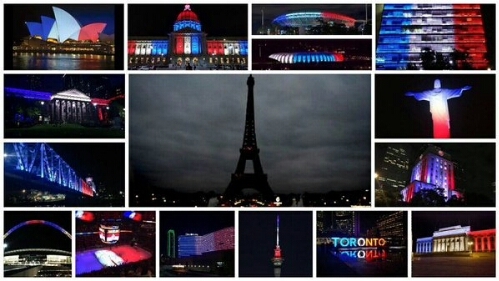 It’s quite an impressive display, and good to see the sympathy from so many countries. 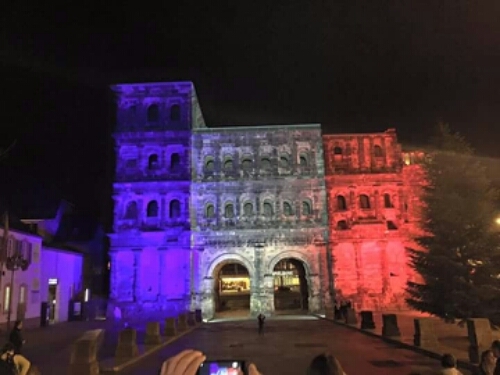 Today Trier, Germany decided to join the effort by lighting the Porta Nigra in the “blue-white-and-red”.